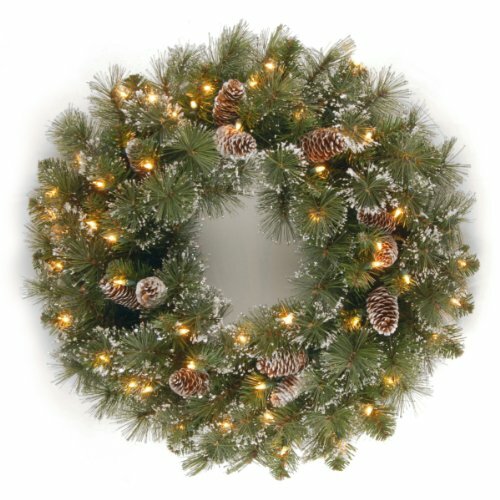 The Glittery Pine is a decorative wreath trimmed with red berries, pinecones and snowflakes. It is pre-lit with 50 clear lights that really make this holiday decoration sparkle. Display this wreath on door, wall or window.